On one of our first nights in Dubrovnik, I told Leah that finally I was starting to understand parts of Isaiah 60, the scripture I’ve been trying to memorize for months. We don’t have any walled cities near where I live. 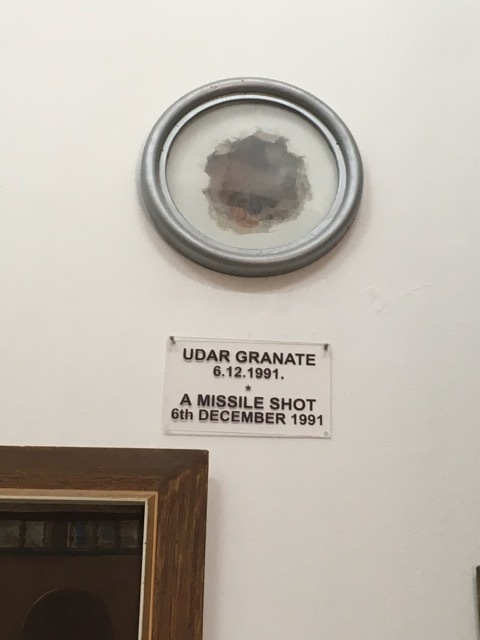 I needed to walk the walls of Dubrovnik to “get it”. 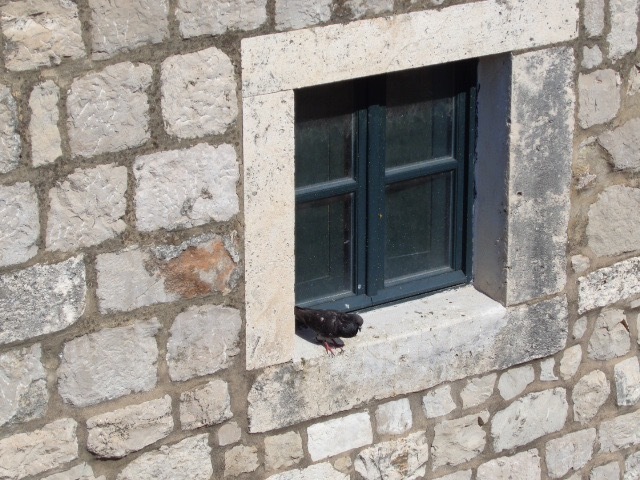 One of our guides told us that back when the city was being built, men coming to trade were expected to bring stone to Dubrovnik and the women eggs. Stone for building. Eggs for the mortar that would hold it all together. The gates were, most definitely, open. The drawbridge was down, the moat dry. In fact, part of the moat had been turned into a playground. Swallows screeched and soared above us down the narrow streets. 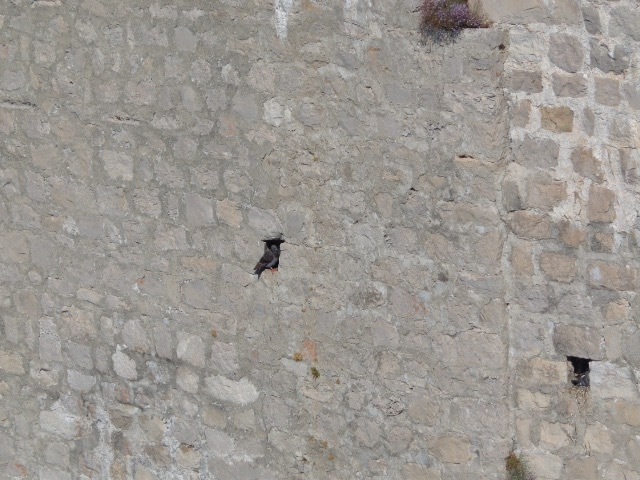 Pigeons nested right in the walls. Every time I saw them, I thought about this verse. I know that the Isaiah passage is actually talking about Jerusalem, which is the city I most want to visit. 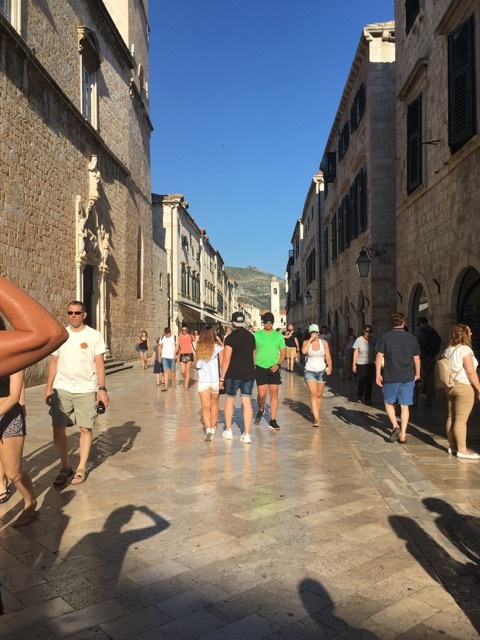 How Leah and I happened to end up at Dubrovnik was serendipity. But the bustle and busy-ness of the place tell a different story. One day, I pray, we will have no more violence. In the meantime, I’m thankful to have visited Dubrovnik. Quite a place to visit. The nearest walled city here is the Old Quarter of Quebec City.